Philippe Fortuné Durand’s 1840 daguerreotype of the stone bridge over the Saone in Lyon sold for €16,000 (£13,675) at Auction Team Breker. 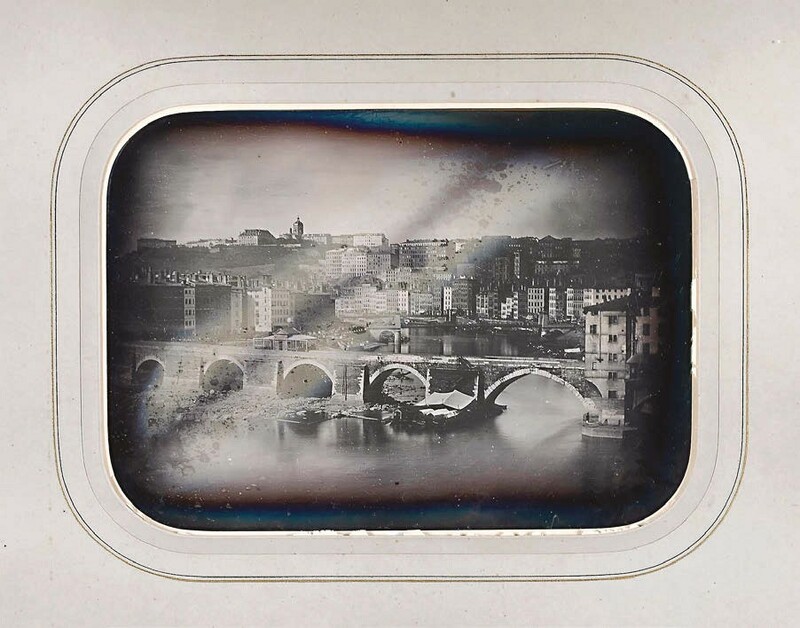 His full-plate 1840 daguerreotype of the stone bridge over the Soane in Lyon, above, was the highlight of a sale of cameras and photographic and technical equipment held in Cologne by Auction Team Breker (21.8% buyer’s premium) on March 16. It sold at the lower end of its €15,000-20,000 guide for €16,000 (£13,675). The glass cover of the daguerreotype has been professionally replaced as the original was cracked and resealed.